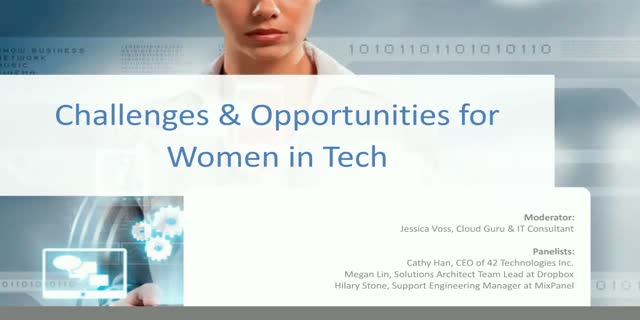 Join this expert panel in our Women in Tech series to discuss the current state of the industry, where the women in tech community is now and where it needs to be in terms of diversity in tech. In this panel presentation, we'll be highlighting the top challenges barring women from entering tech careers, some of the hurdles in their way as they are climbing up the leadership ladder, as well as potential solutions and learnings from personal and professional experiences. - Cathy Han, CEO of 42 Technologies Inc.